There's no place like home. 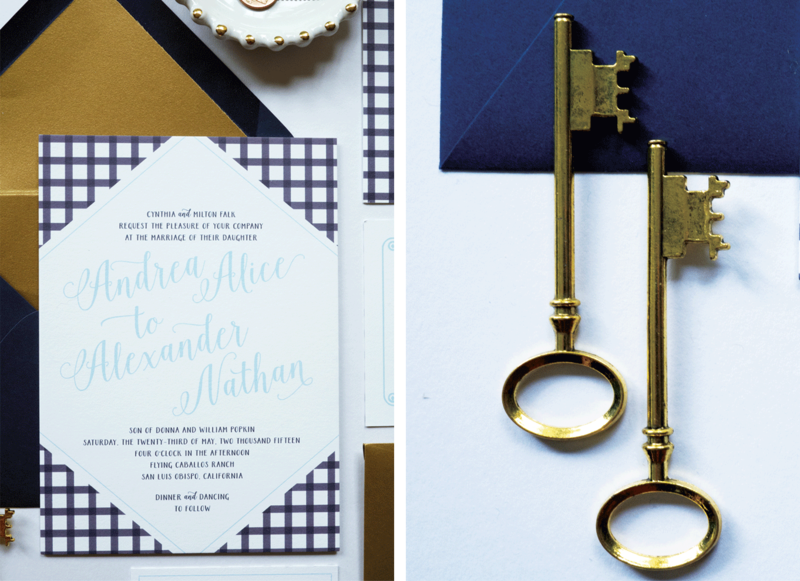 This couple wanted their guests to feel like they were attending a backyard bbq. 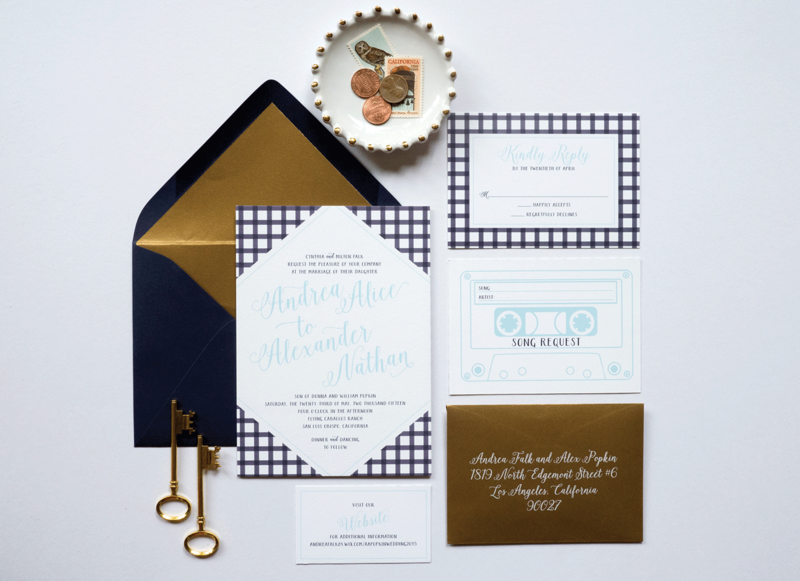 The country chic wedding invitation featured a blue gingham pattern accented by metallic copper. 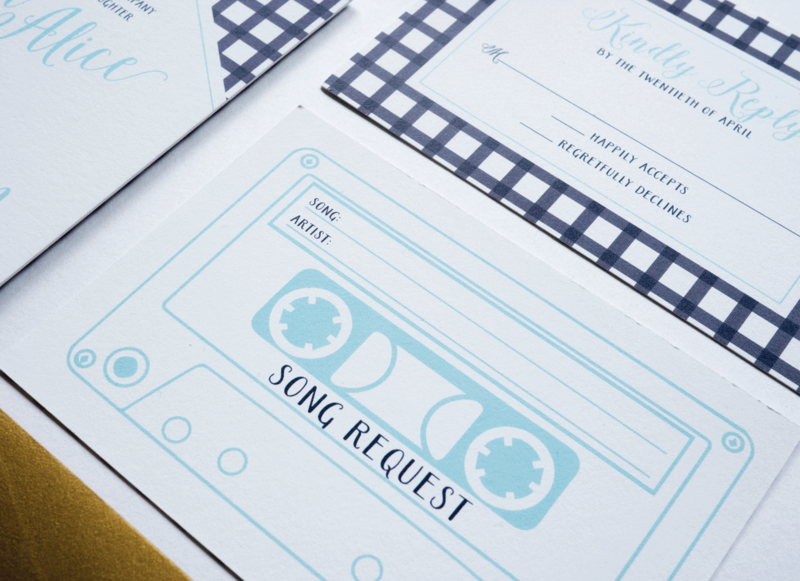 To make it more personal and to share their love of music, the couple requested each guest remit a song selection on the rsvp card. Flat printed on thick cotton card stock. 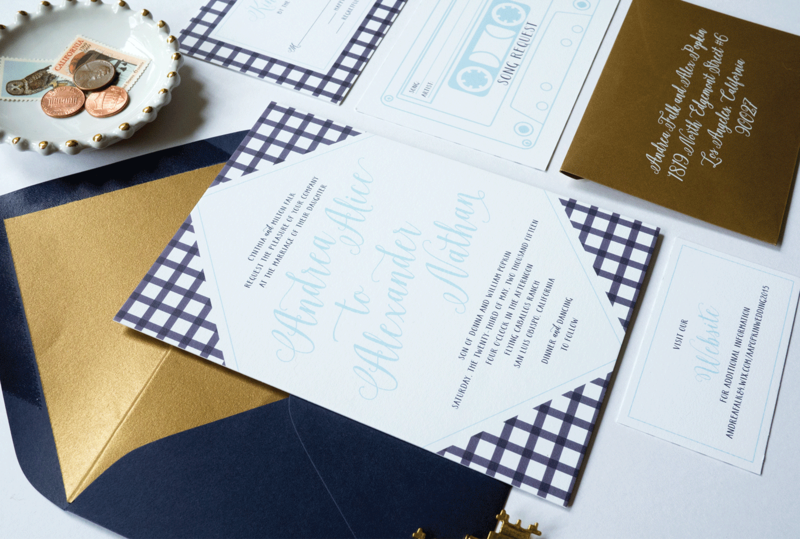 This wedding invitation suite included an invitation, lined envelope, rsvp set and website card.